Hinkley Point C is making incredible progress on-site in terms of construction. But we are also working hard to make sure the project benefits are accessible to people and businesses across the south west and the rest of the UK. Our 2019 socio-economic report details some of the wider benefits the project is delivering. We have made sure that the massive inward investment made at Hinkley Point C is a catalyst for social and economic benefit in the south west and beyond. The report also shows how we’re meeting the ambitious targets that we set at the beginning of the project and builds on our growing reputation for doing what we said we would. Some of the highlights of the report can be found below and the full document is available online here. The Hinkley Point C education, skills and employment pipleline is continuing to ensure that the huge opportunities available throughout the construction of the new power station can be accessed by individuals across the region and the UK, whether they are in school, exploring careers or accessing apprenticeships and other career routes. providing an industry-leading schools engagement programme, ‘Inspire’, across the region to motivate young people into science, technology, engineering and mathematics career routes. supporting the development and raising the overall skill level and profile of apprenticeships for people across the region. supporting the region’s strategy for increasing productivity and social-mobility, particularly in West Somerset. At a time of historically high employment, the pipeline is helping local people to up-skill, re-train and access high quality, sustainable careers. Hinkley Point C’s main civil engineering contractor, Bylor, will erect over 50 tower cranes. With a shortage of qualified tower crane operatives in the UK, they have developed a new Lifting Technician Apprenticeship. Bylor have now recruited the first cohort of apprentices to their Lifting Technician programme. It combines college and practice-based training, allowing participants to build their skills working on one of the most exciting projects in the UK, while gaining a recognised qualification. In the first group of eight apprentices, six people are from the local Somerset area and four are women. They will gain one of the most highly sought-after skills in the modern construction industry. The Lifting Technician Apprentices will work with the Bylor Lifting Teams during their 18-month apprenticeship, and have the potential to operate tower cranes in future exciting construction projects across the UK. Working with partners at Somerset County Council, Somerset Skills and Learning and the charity Discovery, the Young HPC team developed a 10-week programme that enables those with special educational needs to gain meaningful work experience. The new traineeship is helping those that may not yet have the appropriate skills or experience for employment or apprenticeships. It provides essential work preparation training, including support for English and maths development. It also provides direct links to work experience; part of the journey to work that’s vital but often hard to access for those with special educational needs. Six people from the local area completed the 10-week pilot of the traineeship, which is being delivered in the newly opened Apprentice and Skills Hub - a space dedicated to giving everyone a safe learning environment to work on their skills. EDF Energy and HPC contractors Bylor, HOST, G4S Facilities Management and Somerset Larder, have all offered work experience placements across a diverse number of roles including catering, facilities management, hospitality and administration. From the outset of the project, there has been a strong commitment to help develop and support the UK supply chain in taking advantage of the substantial opportunity. Our aim remains to ensure that UK companies of all sizes benefit from the contracts associated with the project. And by doing so, we are ensuring that Hinkley Point C receives the best of British industry and maximises the opportunity for domestic employment and export earnings. Hinkley Point C presents a real opportunity to our UK suppliers and the engineering, manufacturing and construction skills base. At present, 64% of the value of HPC is committed to UK-based companies and we have been encouraged by the quality and collaboration that we’ve seen from the UK supply chain that has allowed this to become a reality. Based in Bridgend, Vessco Engineering are Tier 2 suppliers that has won the contract to manufacture two large pressure vessels for Tier 1 contractor GE Power Systems, who are supplying the two turbine islands for Hinkley Point C power generation. Due to their size, these pressure vessels are thought to be the largest that have been made in the area for many decades. Taunton based Viridor, will be playing a crucial role in maximising the environmental credentials of Hinkley Point C after securing the total waste management contract. The locally based company will be working with EDF Energy and using its expertise to deliver a zero to landfill agreement. The agreement emphasises the waste hierarchy and the importance of resource management and the circular economy. Working in collaboration with EDF Energy and all principal contractors across the nationally significant project, Viridor will deliver integrated waste management services from the waste arising from the site and all associated infrastructure operations. It will see food waste transferred to Viridor’s anaerobic digestion facility at Walpole in Somerset, mixed dry recycling sorted through the Priorswood Materials Recycling Facility in Taunton and non-recyclable waste to energy recovery facilities, including the Avonmouth Resource Recovery Centre once this is operational next year. Although used to having nuclear power stations in the area, the communities around Hinkley Point are also currently living next to one of the largest construction projects in the UK. Working with them to make sure they enjoy the benefits whilst the impacts are managed is absolutely essential. Since 2008, we have sought to listen to our neighbours and our consultation has gone far beyond what is typically required of developers. We continue to work with our local communities and partners and aim to continue this high caliber of engagement through our future consultations for Sizewell C and Bradwell B. An important element of our commitment to the area is the provision of the £20 million Community Fund being delivered by both West Somerset Council and the Somerset Community Foundation. Towards the end of 2018, applications for Hinkley Point C’s Community Impact Mitigation (CIM) Fund pushed the total support received by local projects across Somerset to a staggering £9.4 million. Being a good neighbour isn’t just about providing financial support; developing a strong community spirit is important too. Phase two of The Bridgwater Way (TBW), run by Somerset County Council and funded by EDF Energy, is a multi-million-pound initiative focussed on helping to keep Bridgwater moving as the town goes through a period of significant growth and investment. By providing information, advice and tools we are aiming to help people choose the best time to travel and routes to use or even think about the need to travel in the first place. Over the past few years, through the TBW project, a number of road improvements have been made to help traffic flow around the town. TBW has invested in new walking and cycling routes and more are planned. You can now cycle into Bridgwater from Cannington and North Petherton and improvements are also planned for a route into Bridgwater from Puriton. Part of EDF Energy’s commitment to reducing the impact of the HPC construction on the local area is to fund 17 posts within the various local authorities to help manage any issues that may arise. One of these posts is that of a Community Safety Officer in the town of Bridgwater. Bridgwater is seeing an increase in its population as a number of the non-home based workforce are staying there, either in the purpose built 1000-bed accommodation Campus or in the Private Rented Sector. Community Safety Project Officer, Ryan Kelly works closely with the emergency services, third sector organisations, local traders, schools and residents’ groups as well as with members of the general public and the Hinkley Point C workforce itself, and has become the ‘go-to’ person in dealing with any concerns about crime or anti-social behaviour as well as signposting opportunities that the project presents to local people. On a typical day Ryan will give a presentation to Year 11 students on drug and alcohol awareness, visit a number of caravan sites together with colleagues in the Devon and Somerset Fire Service to advise on fire safety, liaise with the Nelson Trust which conducts outreach to vulnerable females and speak to licence holders in pubs and clubs about the safety and security of their customers. We are building two new nuclear reactors at Hinkley Point C in Somerset, the first in a new generation of nuclear power stations in the UK, providing low-carbon electricity for around six million homes. Sizewell C, a proposed new nuclear power station in Suffolk, has the potential to generate the reliable low carbon electricity the country needs for decades to come. 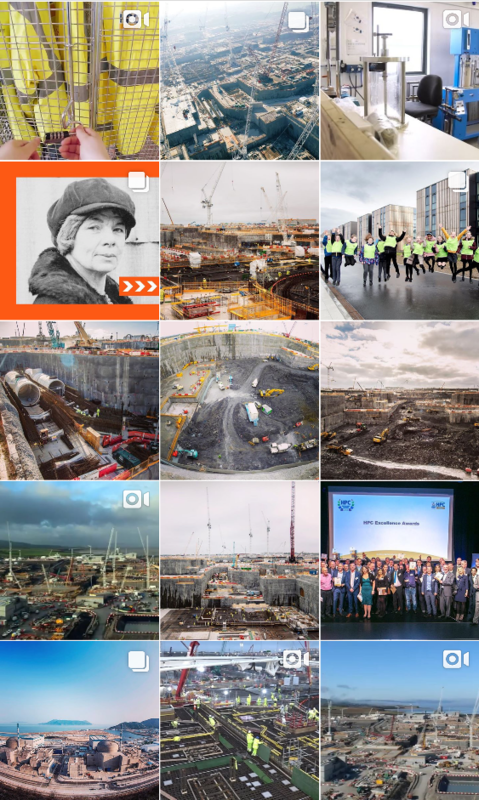 Take a look back at the 2018 Hinkley Point C socio-economic report.